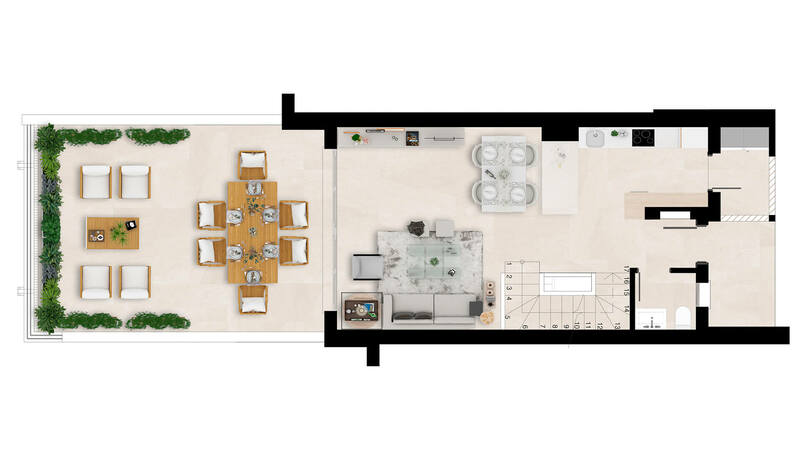 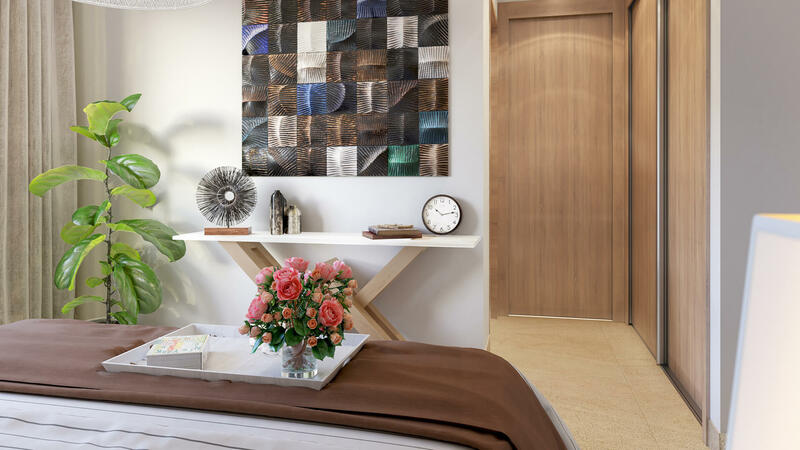 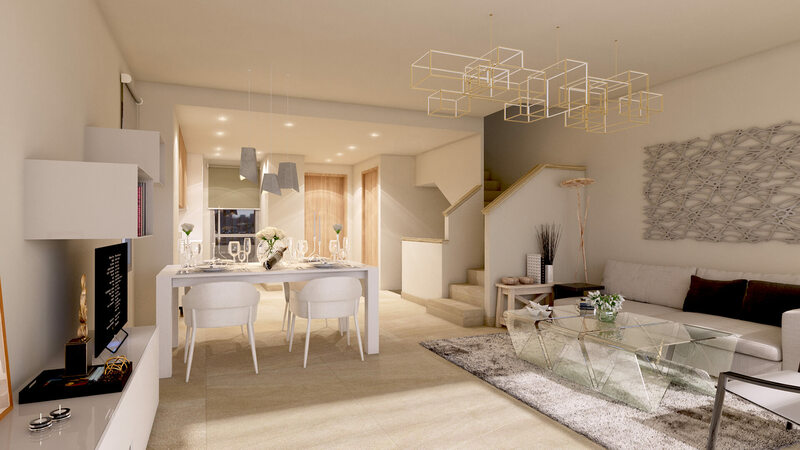 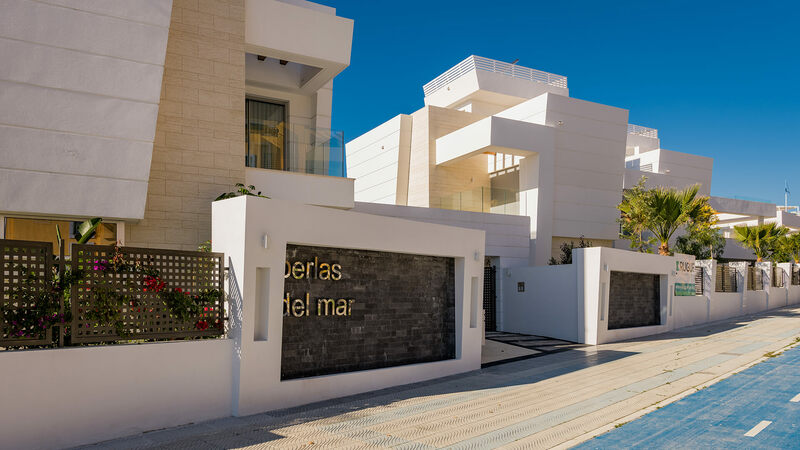 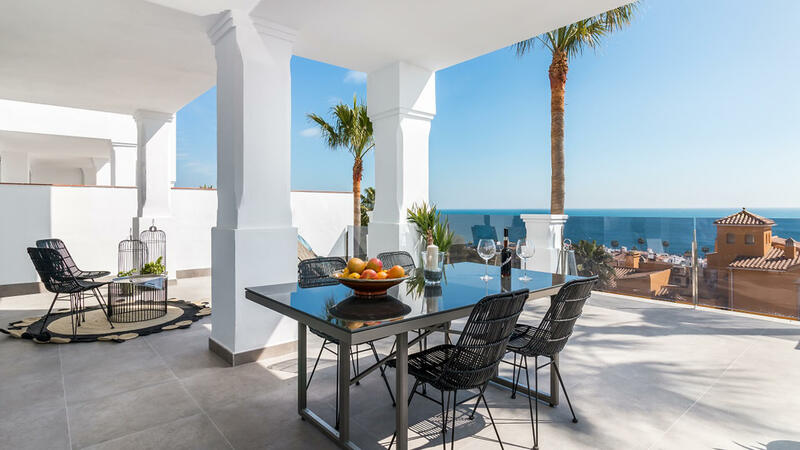 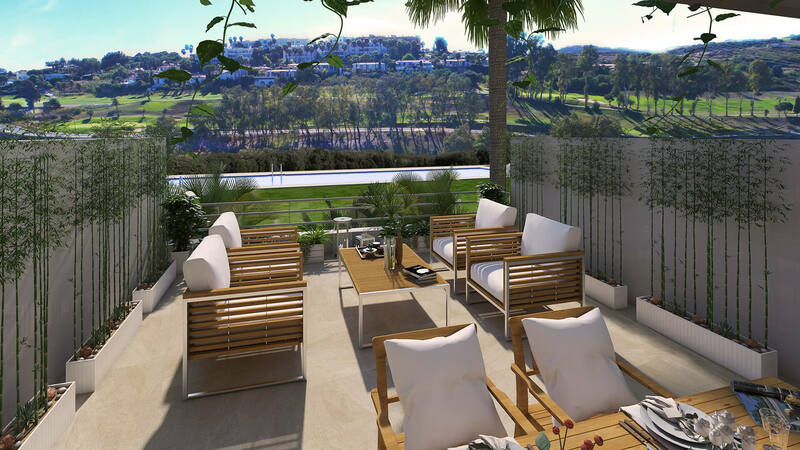 Estepona Golf Townhouses is a new project consisting of 48 townhouses, each with 3 bedrooms and 2 bathrooms, and 1 WC, as well as an open plan living room with integrated kitchen. 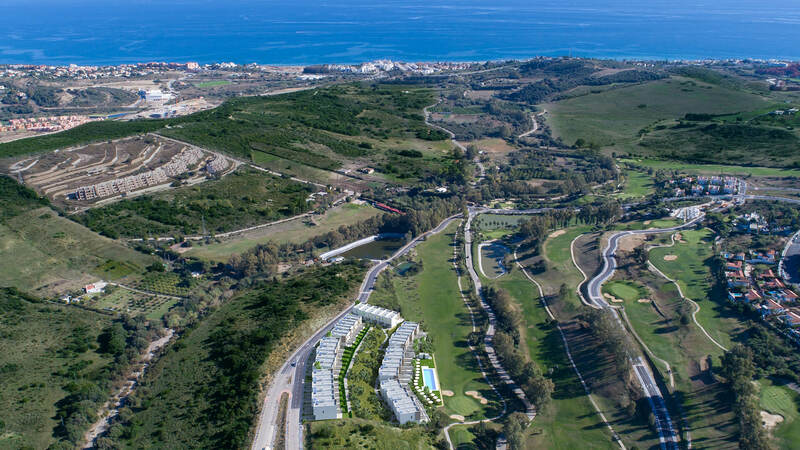 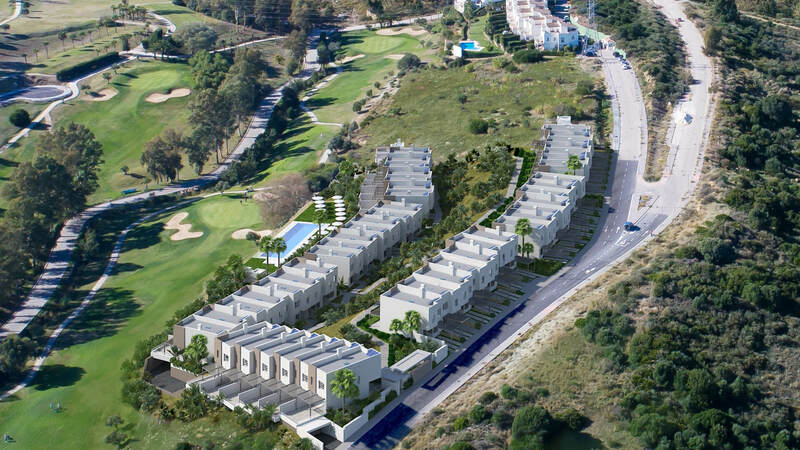 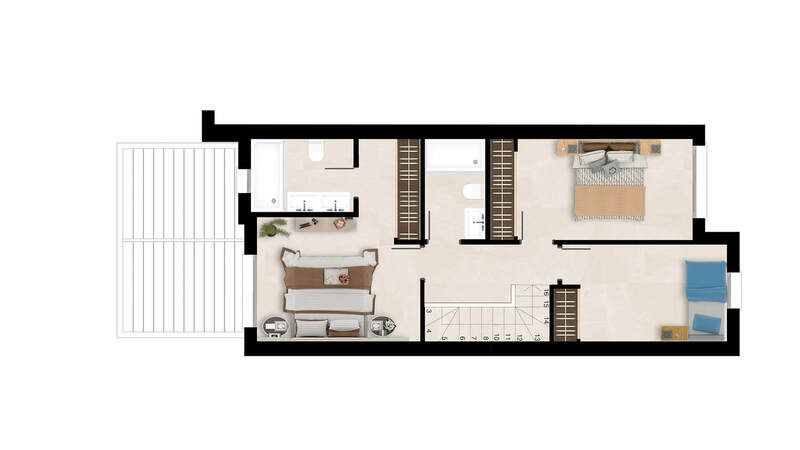 The project is situated overlooking Estepona Golf, with amazing views of the course, as well as to the sea. 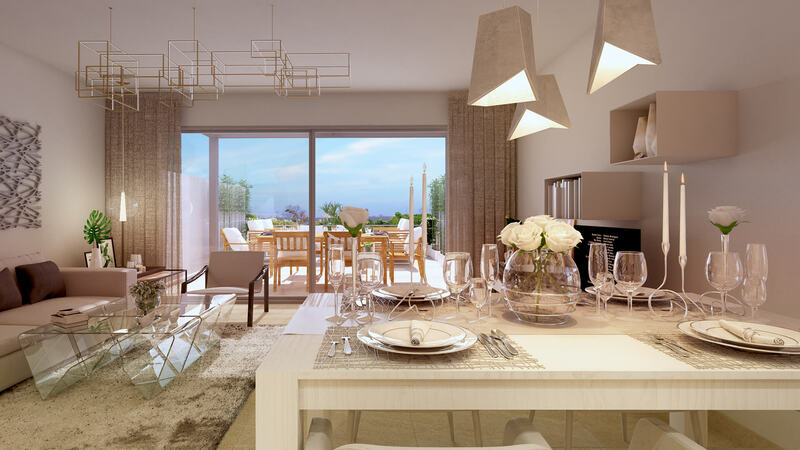 The properties are bright and spacious with nice private terraces. 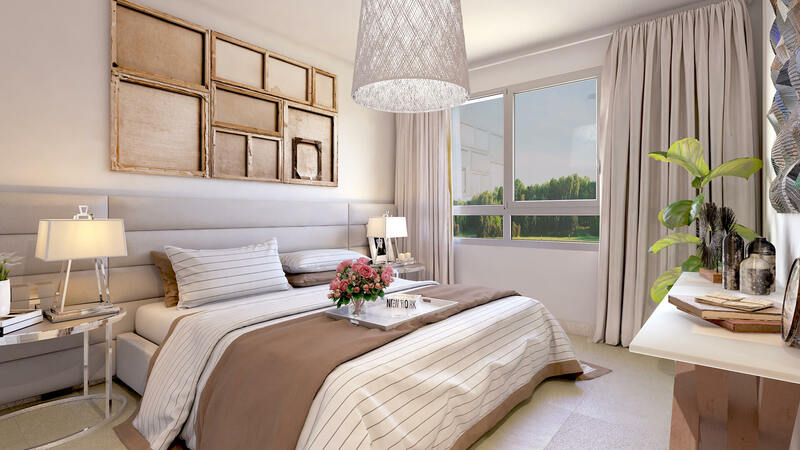 Large windows flood the houses with natural light as they face south or southwest. 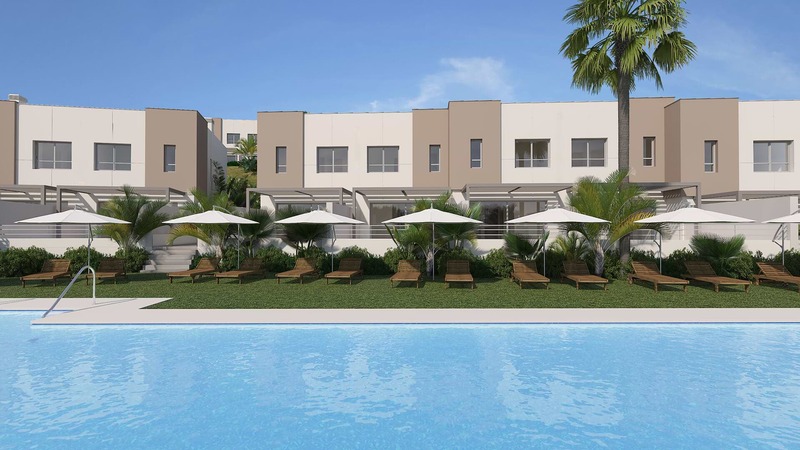 The communal areas include landscaped gardens and an ample swimming pool. 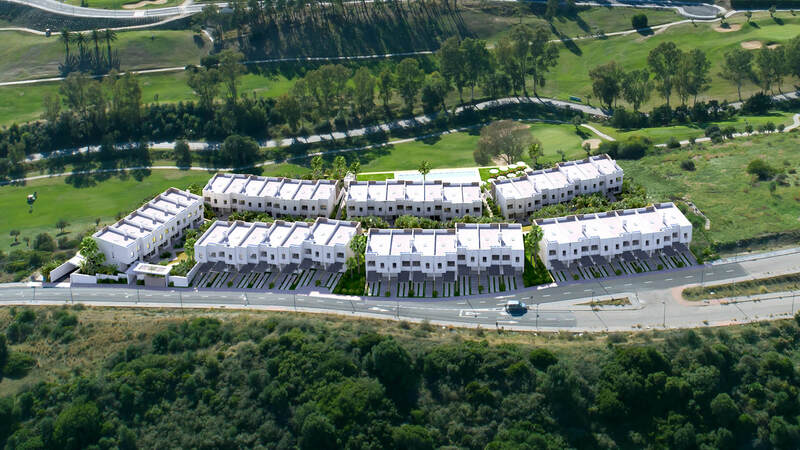 Phase 1, available now, consists of 20 townhouses. 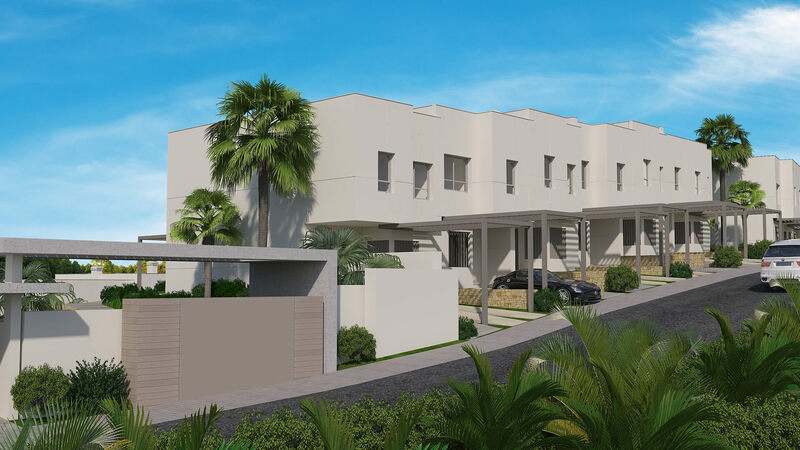 The townhouses will be built and finished to the highest standards using only the finest materials. 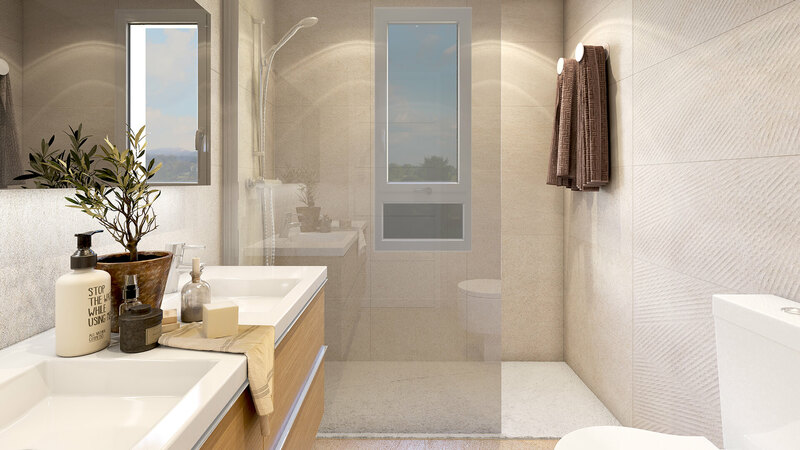 They are in accordance with European construction standards. 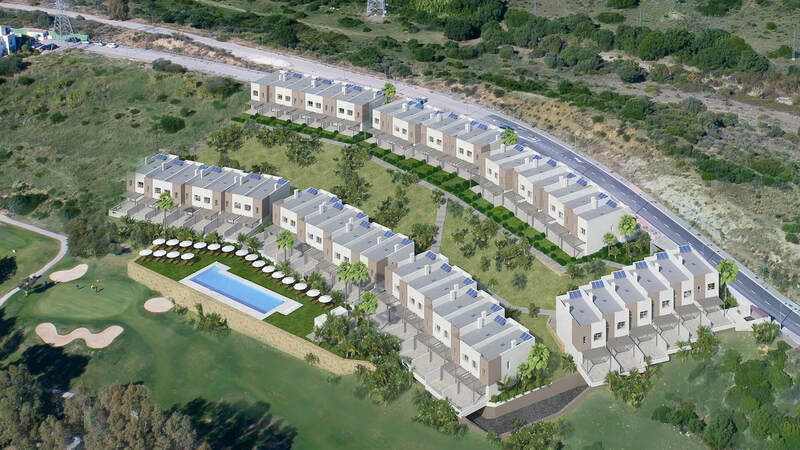 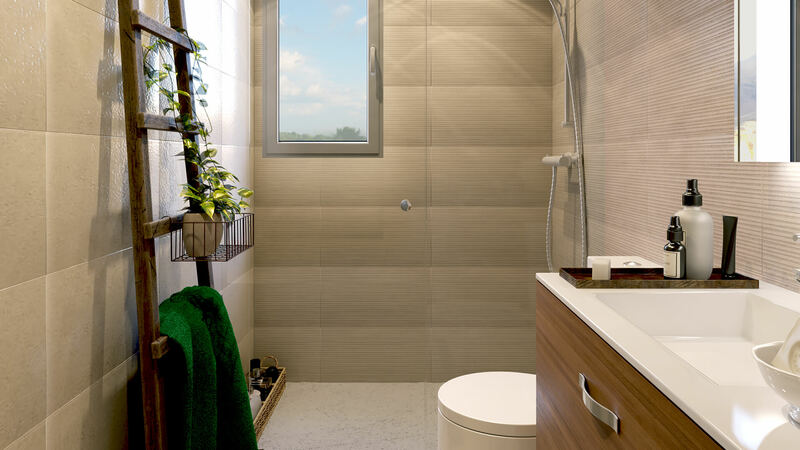 Solar panels, thermal insulation and soundproofing, and a natural ventilation system add to the quality lifestyle. 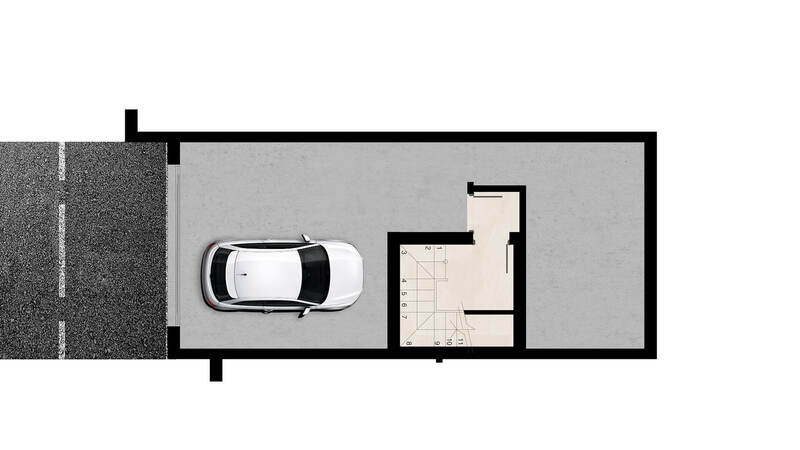 A private underground parking space, as well as a storage room are included.